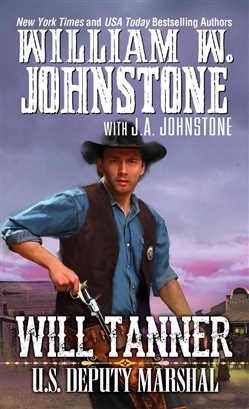 From America's greatest storytellers comes the first in an explosive series featuring a new hero of the Old West--in an epic fight for justice that begins as so many legends do: in a hailstorm of bullets… Will Tanner: U.S. Deputy Marshal After spending most of his young life driving cattle from Texas to Nevada, Will Tanner is ready to wash the trail dust from his throat. Maybe it was fate that brought him to the Morning Glory Saloon on the border of Indian Territory--or just plain bad luck--because no sooner does he sit down than three rough-looking characters walk into the bar with vengeance in their eyes, guns at their sides…and fingers on their triggers. The trio's target is the famous U.S. Deputy Marshal Dove who arrested one of their kin--and who's sitting in the bar near Will Tanner. Seeing that Dove is facing losing odds, Will Tanner makes a decision that changes his life forever. He draws, takes aim, and saves the deputy's life. 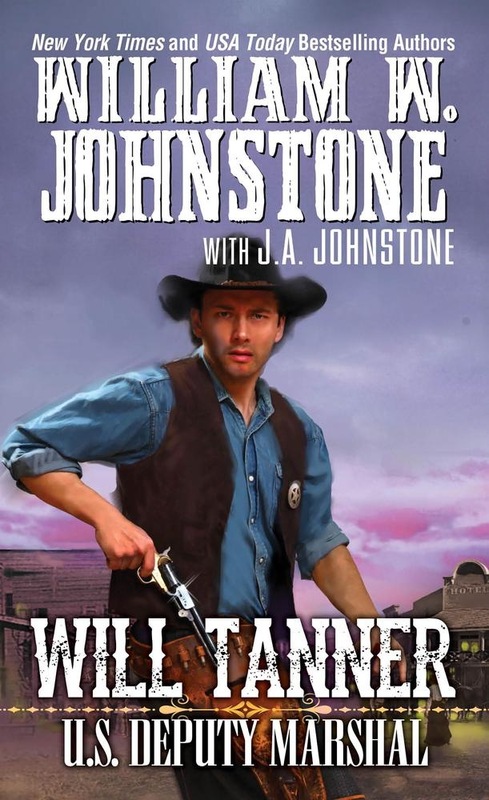 Tanner has himself a new job, a badge, and enough grit to make him a legend on the American frontier. Acquista Will Tanner: U.S. Deputy Marshal in Epub: dopo aver letto l’ebook Will Tanner: U.S. Deputy Marshal di J.A. Johnstone, William W. Johnstone ti invitiamo a lasciarci una Recensione qui sotto: sarà utile agli utenti che non abbiano ancora letto questo libro e che vogliano avere delle opinioni altrui. L’opinione su di un libro è molto soggettiva e per questo leggere eventuali recensioni negative non ci dovrà frenare dall’acquisto, anzi dovrà spingerci ad acquistare il libro in fretta per poter dire la nostra ed eventualmente smentire quanto commentato da altri, contribuendo ad arricchire più possibile i commenti e dare sempre più spunti di confronto al pubblico online.